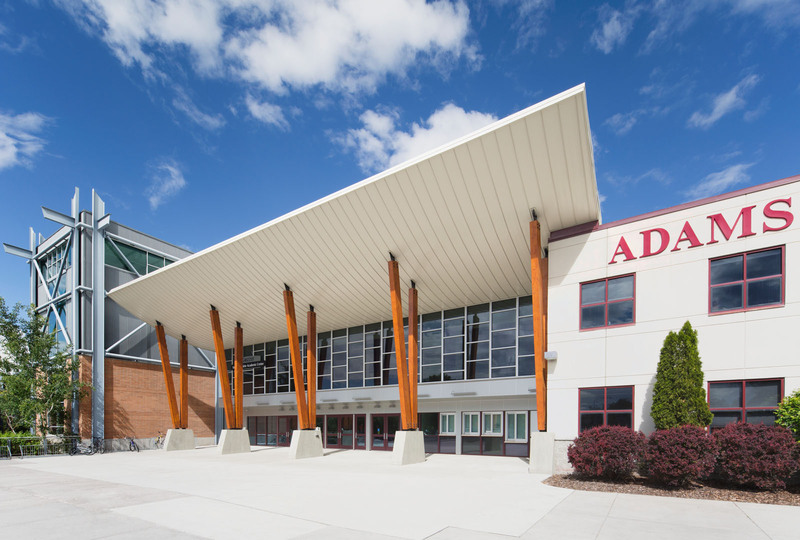 The Student-Athlete Academic Center is an addition to the University Of Montana Campus that in-fills an underutilized space between the existing Adams Center arena and an adjacent Wellness Center. The center fills a growing demand on campus for private student-athlete study and tutoring spaces. 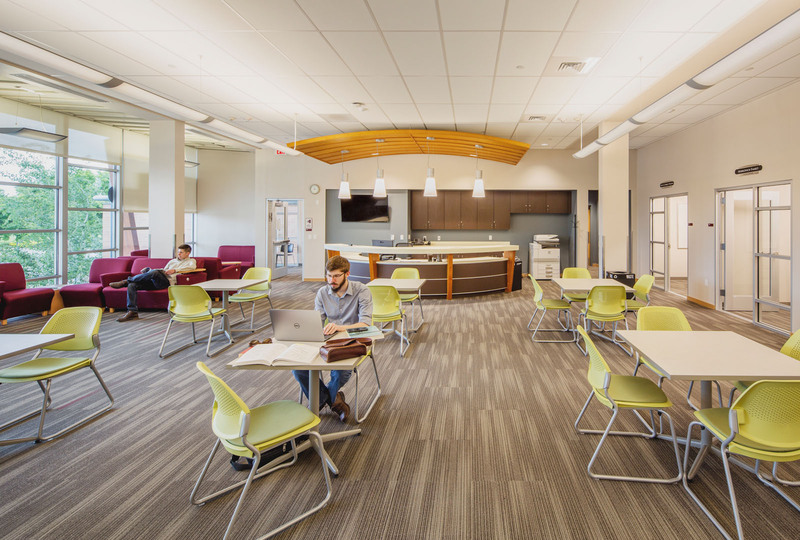 The second story technology-enhanced study space includes a large open study area, private tutoring rooms, and a conference room. 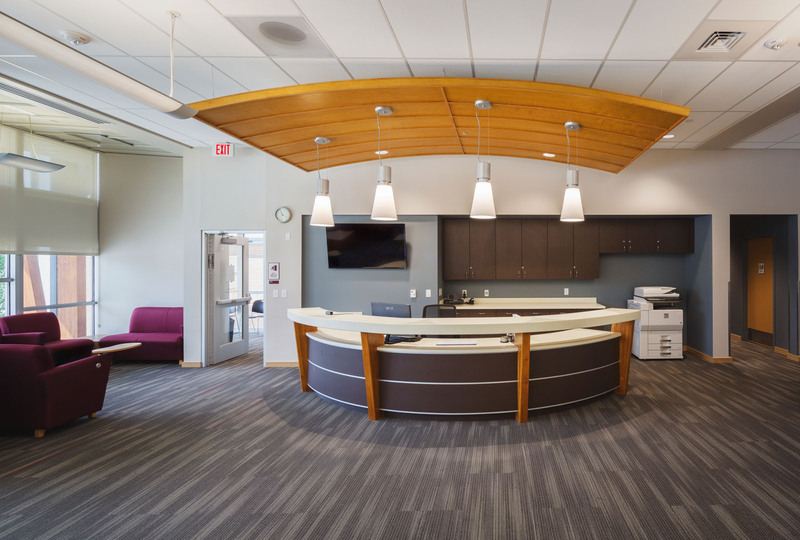 The addition also accommodates other UM offices as well as ticketing windows for arena events. A full basement will provide space for a locker room project to be developed in the future. 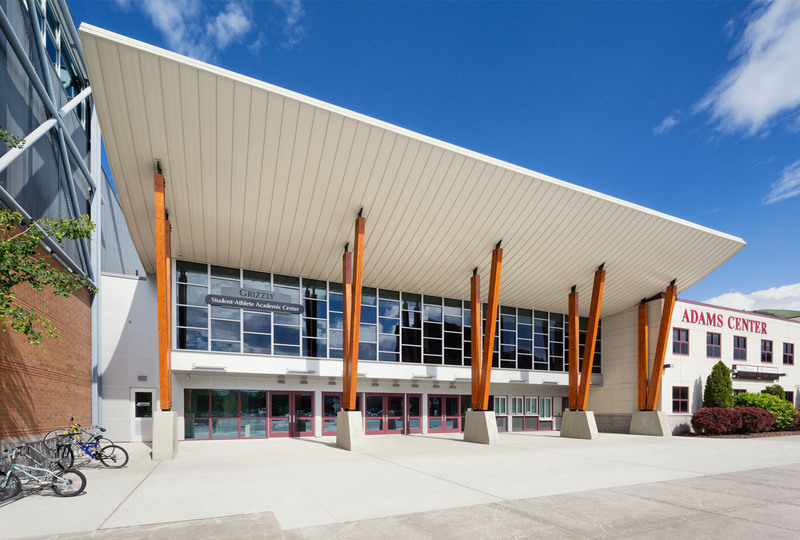 Through the design process, the project overcame a low fixed budget and unique physical constraints: three sides of the building are bounded by existing buildings, each built in a different time period. The project acts as a face to the university, as many visitors encounter the façade of the project as they enter campus. The University uses the front, covered canopy as a welcome center for visiting students and parents. The project also created a passage for a large portion of the ingress and egress of visitors to Adams Center events. 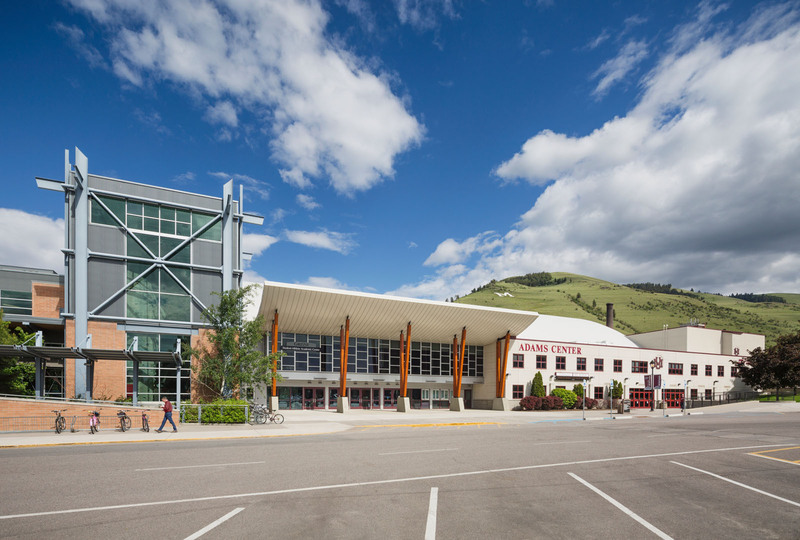 With a dramatic roofline opening to the west, the project opens itself not only to student-athletes, but also to all students, families, and the Missoula community. Large amounts of glazing let in light to improve the learning environment, but it also creates a sense of transparency into UM’s event activities, educational mission, and athletic programs. 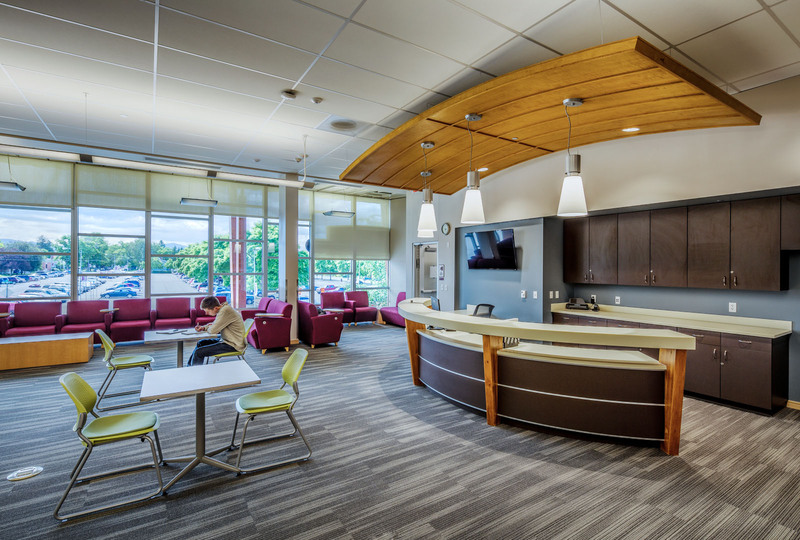 The project has achieved a LEED Gold rating. It features low-emitting paints and adhesives, materials with high recycled content, energy efficient glazing and insulation, water saving plumbing fixtures, and Green Label Plus Certified carpet. A flush out was conducted prior to occupancy to improve indoor air quality. The University adopted green housekeeping procedures for this project, and 95% of construction waste was diverted from the landfill. The project is well suited for sustainable transportation, with excellent bus access to both university and city bus systems.